Not much for me to say about this place – Greg’s contemporary in Granada Hills, California. Beautiful! 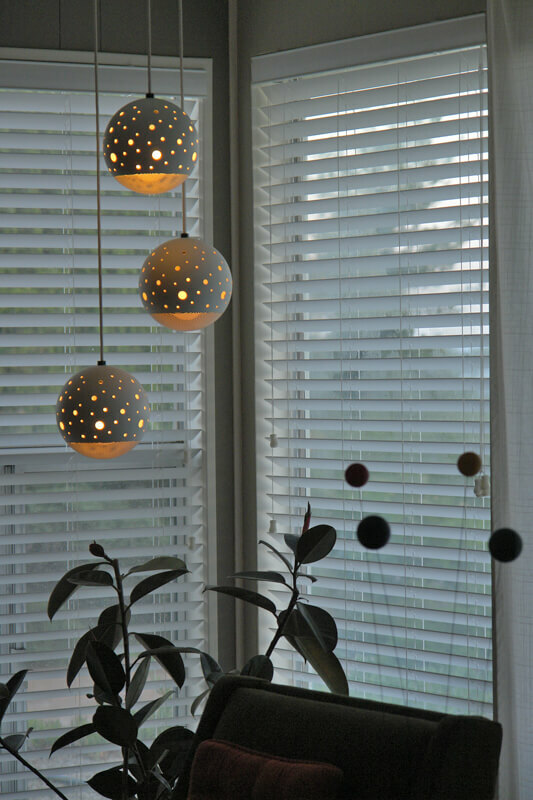 Love love love the light fixtures – are they all one ‘set’? Where did you find them? Ooooh, I see you even kept your cottage cheese ceiling! 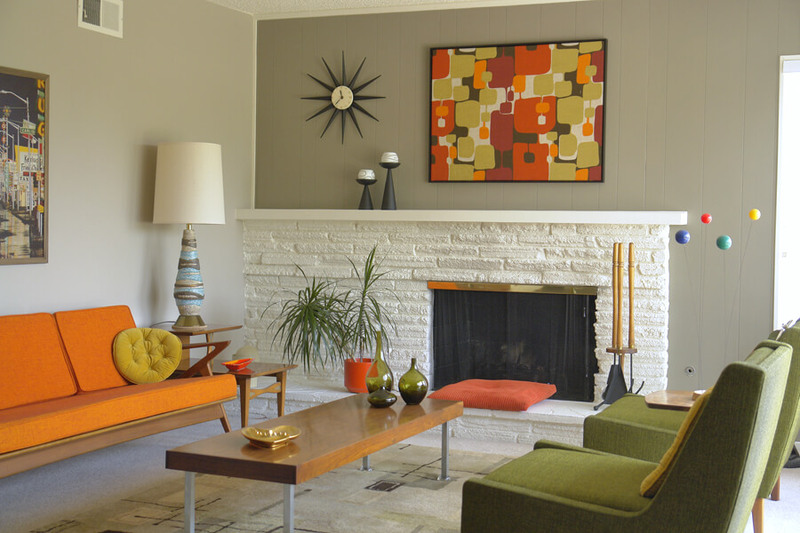 I particularly like how Greg has kept his color palette simple — taupey/grey paint on the paneled walls with the same tonality reflected in the grasscloth, some olive, black, white and brown — all accented by punches of orange dancing throughout. 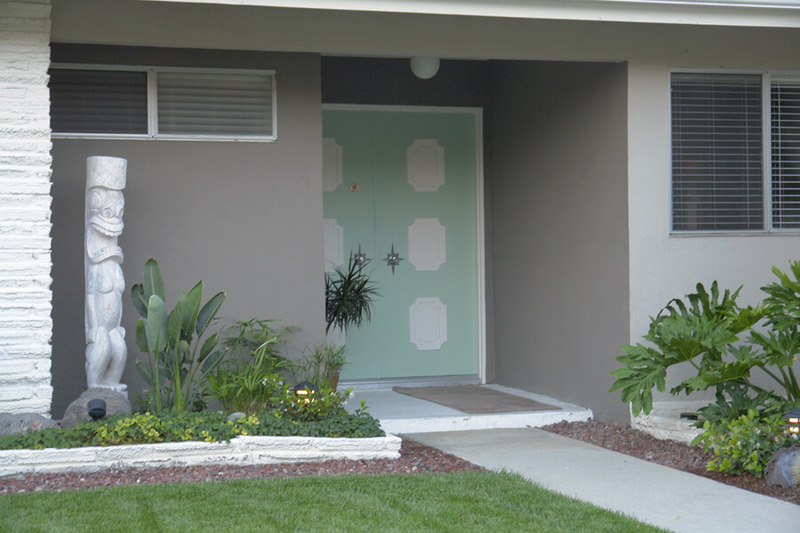 Greg, in a Comment – can you share your paint colors, and your grasscloth source/design? Do you love those orange lights? They are Moe Honeycombs — see the catalog pages that I posted here. What TLC and tidy, too! Are those starburst door fittings on the front door? This place was built in 1962, adjacent to the Knollwood country club in Granada Hills, CA. I have researched every lighting fixture, cabinet knob and drawer pull. I had to because it had all been “updated” by the seller 2 years ago, and all vintage lighting and hardware was thrown out. I selected almost every light out of early 60’s Moe Lighting and Progress Lighting catalogs. I still need kitchen tiles replaced and a better floor put in, but it works for now. Hope you like it! 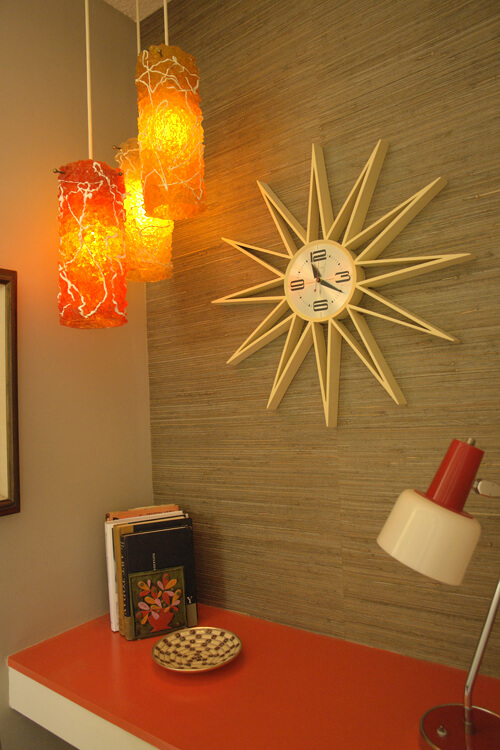 PS: I have a selection of original-restored wall clocks and lighting for sale, should anyone be interested. 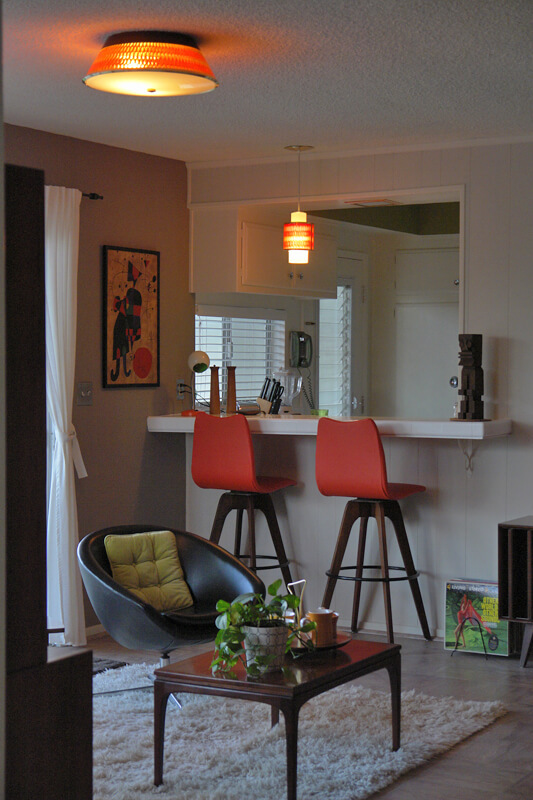 Welcome to the Retro Reno gang, Greg and thanks so much for sharing your home! 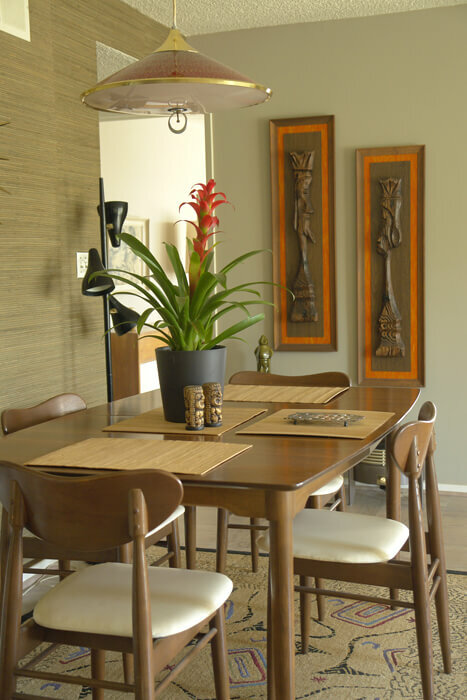 Thank you for sharing your photos of your home on Retro Renovation! Tri-level that I grew up in (Danville, IL). I gasped when I saw them on this website! I love them & have been looking for them for y-e-a-r-s! I’ve searched for those 3 pendant lights till my fingers are numb! So, did I understand your answer correctly to mean that I just have to wait till they comeup for sale on e-bay?? And, are they “Moe” ? 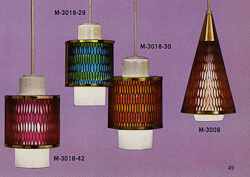 My parents’ lamps, similar to yours, hung 3-in-a-row[same level] in our foyer had hard plastic, primary-colored, faceted “discs” that were popped in the bigger holes all the way around near the mesh covers. Thank you for your time & any information you may have so I may someday own these beauties! Here’s to going back to the Sixties!